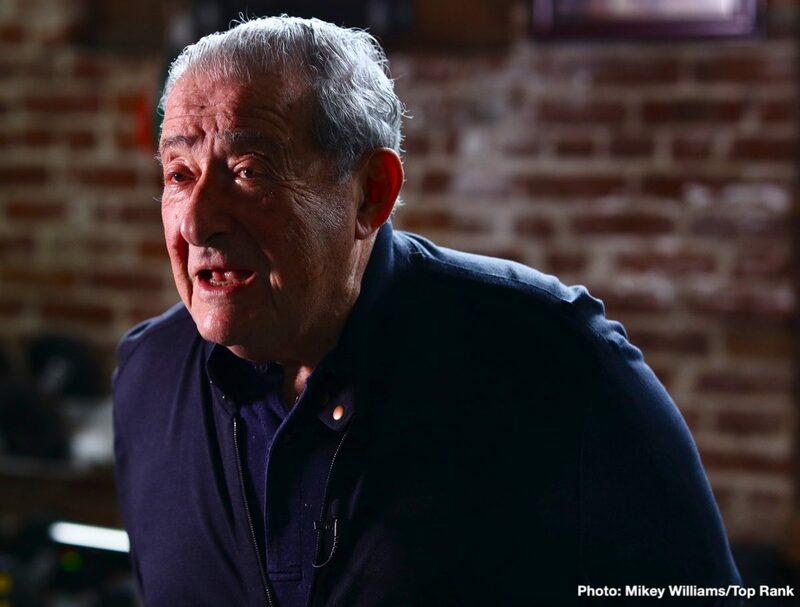 Bob Arum has been the reference for the boxing world from the 20th century to now, going into 2020, but is his vision what it once was? The legendary promoter that created Top Rank has been responsible for many events and really deserves the recognition for having been one of the integral cogs which made boxing run like clockwork… At least given the different boxing boards, promoters and distribution channels, having a leading figure with the power to make fights happen shouldn’t be underestimated. It’s fair to say that he has always held a strong hand at the negotiation table and has been seemingly able to adapt himself to the times. Having said that, with time we will see if he is looked back on fondly as someone who promoted the biggest fights of our times, or whether he protected his fighters too much. Of course, arguments can be made for either side. If we look back at the illustrious career that Bob Arum had, we won’t be able to escape his joker card that was Manny Pacquiao. He was his answer to his quest to get revenge with Mayweather, and when that fight happened, we all had a feeling that for Bob Arum, there was a certain amount of ego on the line which made for a juicy subplot. Of course, Mayweather, who was his one time prodigy, reneged on his Top Rank contract back in the day, and eventually came back to haunt Top Rank by outclassing Pacquiao in the dubbed “fight of the century”. Bob Arum deserves credit for negotiating that fight with Mayweather Promotions as it would have been a bitter pill to swallow to see a fighter once under his stable get the lion’s share on the contract of all contracts. Looking into the future, what is Bob Arum’s vision? Top Rank and Bob Arum right now are looking set to have a pretty exciting stable. Possibly better than ever. With the heavyweight division on fire, Top Rank have tied down the lineal champion, Tyson Fury, to a multiple fight contract, and they have Terence Crawford, another P4P fighter taking out challengers with ease. Bob Arum potentially has at least two mega fights to co-promote in Spence vs Crawford and Fury vs. Wilder that can happen in the next year but more likely 2020. So the real question is, will Bob Arum lay his cards down and go for the big fights or will he look for a more conservative approach? You are here: Home / Boxing News / Could Bob Arum’s vision be sharper than ever?